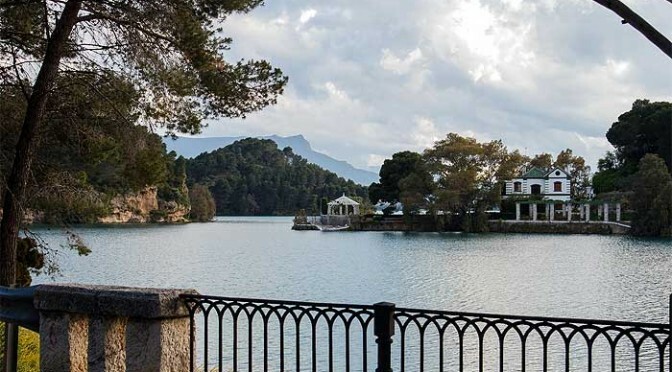 The three Reservoirs known as Guadalhorce – Guadalteba are nestled in a stunning area of outstanding beauty close to El Chorro and the Camino del Rey and withing the boundaries of the Natural Park area called “Desfiladero de los Gaitanes”. The natural environment corresponds to the village of Ardales but only one of the reservoirs, the Conde de Guadalhorce, is in the municipality of Ardales. 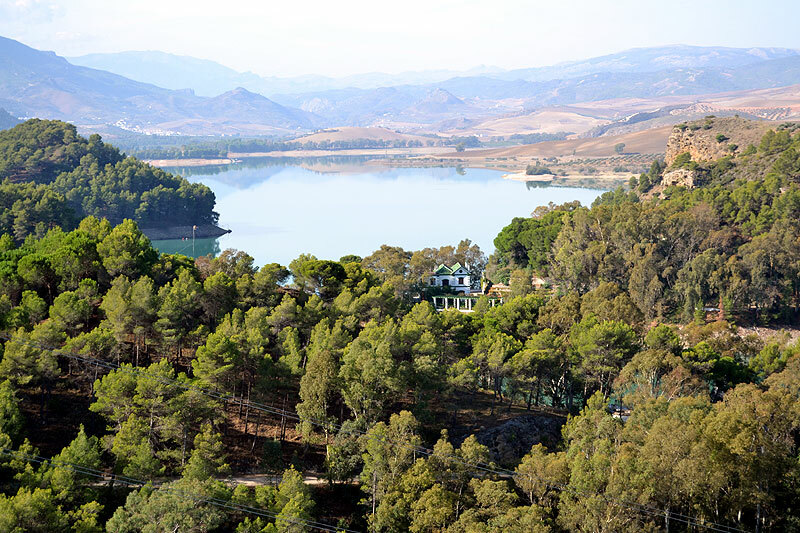 The two lakes are in the municipalities of Teba, Campillos and Antequera . Construction began on this reservoir in the autumn of 1914 under the direction of the famous engineer Rafael Benjumea and was initially called Pantano del Chorro. It was completed in 1921 and inaugurated by King Alfonso XIII. It was at this time that the Caminito del Rey got it’s name as the king walked this pathway at the time. For some unknown reason, in 1953 the name of this reservoir was changed to Conde de Guadalhorce. Construction of these two new reservoirs began in the spring of 1966 and completed in 1971 and 1973 respectively. At the same time as building these dams, a new the railway line and three road sections were also constructed, as both a large stretch of the railway line and roads were flooded by the rising waters. Also, the residents of the village of Peñarrubia and its neighborhood, Gobantes (where the railway station was) were evicted and their homes lost under the water. 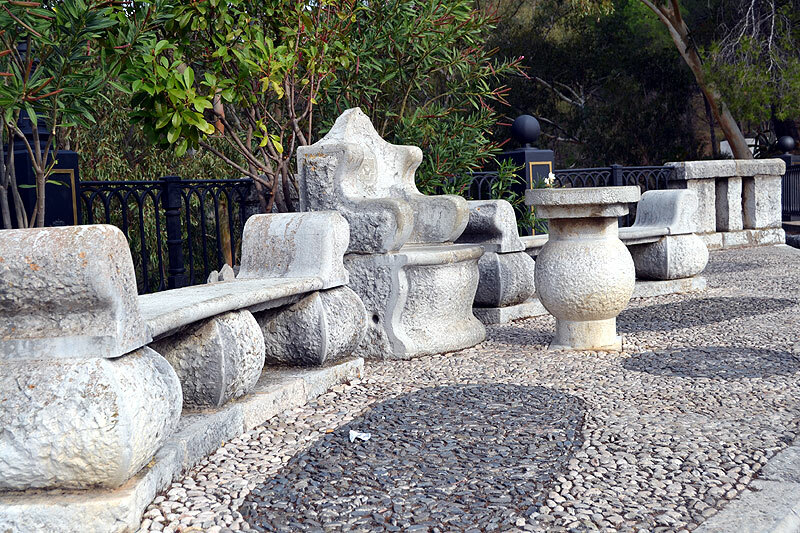 One of the most iconic artifacts from the construction days of the reservoirs is the King’s Chair located just before the dam wall of the Conde de Guadalhorce. There is a chair and table carved out of stone and this is where King Alfonso XIII sat and signed the completion of construction document for the Conde de Guadalhorce reservoir. The kings chair and table where the document was signed to declare the dam project finished. From the Chair of the king, if you look to the other side of the reservoir, you can see the very impressive and grande chief engineers house or “Casa del Conde” which is closed to the public but would make an amazing place for a hotel, museum or even a house for me when I finally win the lottery! If you walk along the dam wall you will come to the small church which was also used as a school. A stroll across the dam is lovely and if you continue along a few hundred meters more you will come to the hotel and restaurant La Posada del Conde, a fantastic place to eat or stay for the weekend. There are several signposted footpaths in the area where you can enjoy the wonderful pine forest scenery with interspersed eucalyptus,thyme,rosemary and broom …The biggest fish populations in the lakes are barbel and carp. Look out for Kingfishers, red billed chough, the ever present griffon vultures and if you are very lucky you might catch a glimpse of a European eagle owl. The mammals present in the area are Spanish Ibex, otter, rabbits, hairs and wild cat. Another of the attractions of the reservoir is the “Mirador” or viewpoint located a little further up the hill from the restaurant “El Mirador”. From this point you get a bird’s eye view of the whole reservoir system and the panoramic views of the surrounding countryside. If you really want peace and quiet, the best time to visit this area is during the week in spring and autumn as during the summer months and weekends the lakeside becomes full of people swimming and kayaking whilst the cliffs around the El Chorro and Camino del Rey areas are a haven all year round for climbers. That said you can visit this area at any time of year and you won’t be disappointing. It truly is a wonderful part of Andalucia and the construction of dams is quite remarkable.